Ask fellow campers about "Skyline Wilderness Park" and nearby attractions. Answer: I believe this park allows stays more than 14 days. You can leave for a day and return but reservations are required. This is a tale of two parks: one very crowded and all gravel which is the main CG. Then there are a few sites passed the Social Hall that are overlooking a vineyard and mature trees. We were fortunate to be given site #PP4 overlooking the vineyard. There are 2 FHU spots in the main CG but we could not secure one of those, so we shortened our stay and planned a move to another park. Had we known how nice sites 1-4 were, we would have stayed here longer. Again, not FHU but so nice we didn't mind the military showers. We would definitely stay again, but only in these sites. We camped at Skyline Wilderness Park in a Motorhome. Raley Grocery, Home Depot, Target, Office Depot, and restaurants are all about 1 mile away. On Saturdays and Tuesdays a very nice Farmer's Market is held off Gasser Road. It's Napa Valley so lots of wineries and excellent restaurants available. This is a lovely, quiet park right in the middle of Napa.. It feels like the middle of nowhere, but there are restaurants and grocery stores a mile away, and dozens of wineries within a 5 miles radius. It's the perfect location for touring Napa, and the price is a real bargain. There were not very many spaces for a large rig, but our 41 ft. 5th wheel had plenty of room in the space we were given. The staff was friendly and went out of their way to be helpful. Every morning there was a crew picking up leaves and making sure the area was clean. WiFi was good at our site, but I heard another camper say he could not get it as his site. 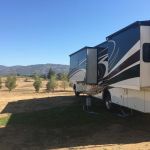 We camped at Skyline Wilderness Park in a Fifth Wheel. Most of the wineries in Napa require an appointment for tastings and tours, so call before you go and make your appointments at least a week ahead during busy times. This is going to be a sorta negative review, but honestly this place is pretty good. 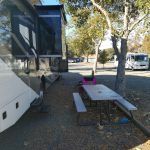 Price is right, location is right, it's clean, everything worked, it was quiet, roads were easy to navigate for the most part, and there is a ton to do at the park and near by. The dump station was nice and easy to access. We made the best of it and had a great time. As others have mentioned, you can make reservations but you're not guaranteed a full-hookup site. Either they didn't mention this on the phone or I missed it, but we ended up in a power/water only site. I asked and was told "we don't guarantee a full-hookup site". Sites are REALLY tight. A small truck and 17 foot camper is about all you're getting in these sites if you want any usable outside space. I'm 40 foot, and just fit end to end. Like JUST fit. No room for anything on either end. Width is really tight also, I got my slides out but less than an inch from a tree on the drivers side. 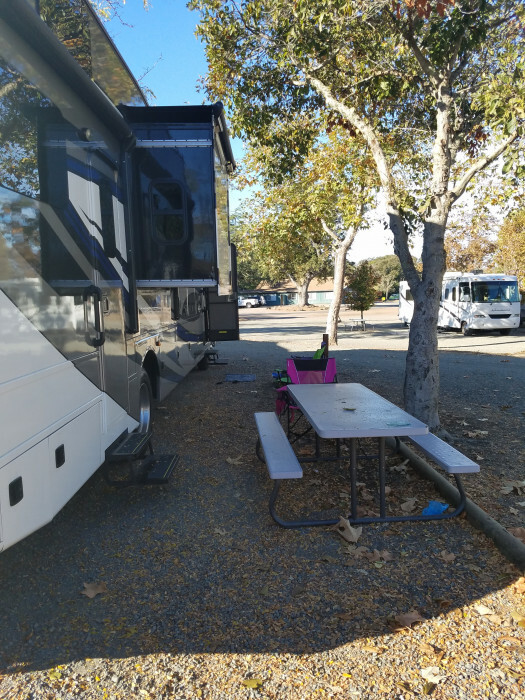 What was left of the site on the door side was barely wide enough for the picnic table to fit between the RV and the edge of the site. Looking around the campground everyone seemed to be wedged in and trying to be creative with space. We had some friends staying in the tent area and were repeatedly treated poorly. I didn't have any personal experience with that, but the staff wasn't exactly friendly. Not rude or anything just a little grumpy. 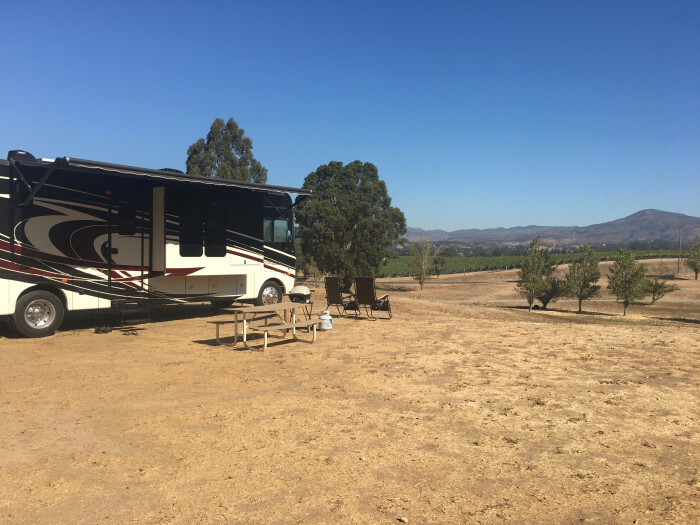 All in all, it's a good spot for smaller RVs, and it's a GREAT location for wine tasting and access to San Fran. I'd stay here again, but probably just and a quick stop over. 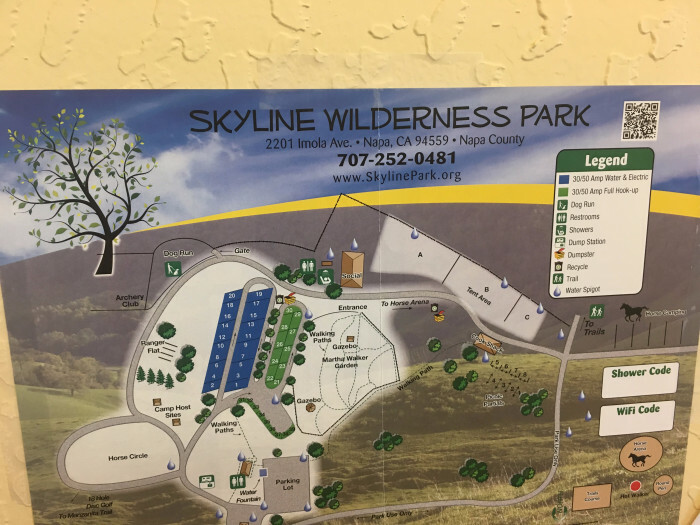 We camped at Skyline Wilderness Park in a Motorhome. What a great park - also a terrific facility for the area - so many things to do there - I had forgotten how much there is around this place. Was here last year and got rousted due to fires but despite the drought and very dry conditions (can't blame the park - can only imagine what it would look like all green) Stayed on a full hook-up site for the 2 week limit and they worked with me when I had to extend to fly back east for a funeral. This was my third stay here and will visit again for sure. We camped at Skyline Wilderness Park in a Fifth Wheel. We arrived in Napa without a reservation and were very thankful that this park had spots available. All that was left were the upper sites called "Picnic Partials". These sites had water and electric. It turns out it was actually a really great site with tons of space between us and our neighbor. There was no sewer; however, there is a dump station on the way out of the park (no extra fee). The views from our site were beautiful. You could see vineyards and mountains. In front of our spot was the disc golf course. We watched people play, which was enjoyable. There was also a horse arena a short distance from our spots, but there was no noise or smell. We saw beautiful sunsets from our site. There were walking trails right from our site. There is closed gate with controlled access into the park, so that was a nice feature. We did a private wine tour and the company was allowed to come into the park to pick us up. Overall, we were very happy with the site. 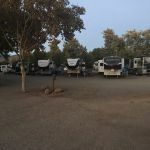 We walked by the regular sites and they were very close together more like a traditional RV park. Our site definitely had a ton of space and beautiful views compared to the regular sites. We camped at Skyline Wilderness Park in a Motorhome. they will take a reservation but will not guarantee full hook up. If you're longer than 35' there are only 2 sites with sewer you can fit in. It is just a dusty gravel parking lot. It is, after all, a county park. Lots of hiking, mountain biking. TMobile barely worked. no wifi. Power and water good. We will NOT go here again. Lucky this time as we got one of the 2 sites we could fit in on the second day. We camped at Skyline Wilderness Park in a Motorhome. We stayed in a 35 foot RV in a pull in site. We had electric and water. There is a dump station on your way out. There are full hook up sites and pull through sites as well. 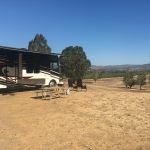 The sites are close together but you are surrounded by vineyards, hiking/mountain biking trails and it is very close to downtown Napa and multiple wine tasting vineyards. There was also a large dog run and 1 mile down the road was a beautiful off leash park (Shurtleff Park)...beautiful. There is a Frisbee golf course and a beautiful native California garden in the center of the park. Tent camping is separate from the RV section of the park but in close proximity. There were wild turkeys and deer on the hills surrounding the park. There is also an archery facility adjacent to the park but I believe you have to be a member to use it. 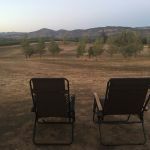 Tranquil place to stay with lots to do in Napa. We camped at Skyline Wilderness Park in a Motorhome. Wine tasting at Robert Mondavi and Grgich Hills as walk - ins. Would have liked to go to Jaimeson and Trethefen but by appointment only. This is by far the best deal in Napa. For $33 per day, you can stay in an area that would otherwise cost $200-400 per night for a hotel. The location is wonderful, just minutes from downtown. The park is really nice too, with walking trails and other amenities. They could use a bit more organization in the office, preferably some sort of email confirmation. They had trouble finding my reservation but ultimately worked it out. It's also across the street from a beautiful vineyard. I would definitely stay here again. We camped at Skyline Wilderness Park in a Fifth Wheel. This multi-use park has spaces for tent and RV camping. It is located on the south side of Napa, CA. There are pull-through as well as back-in spaces. There are a few full hook-up sites, others are water and electric only. We had a pull-through with water and 50 amp electric. The driveways and site pads are gravel/dirt. There is free WiFi but it was of marginal value. Bathrooms were kept clean. There's plenty of open space in the park as well as trails for hiking, biking and horses. Altogether, nothing special here but an OK place to park if you want to visit the Napa Valley. We paid $30 per night with Good Sam discount. We camped at Skyline Wilderness Park in a Motorhome. 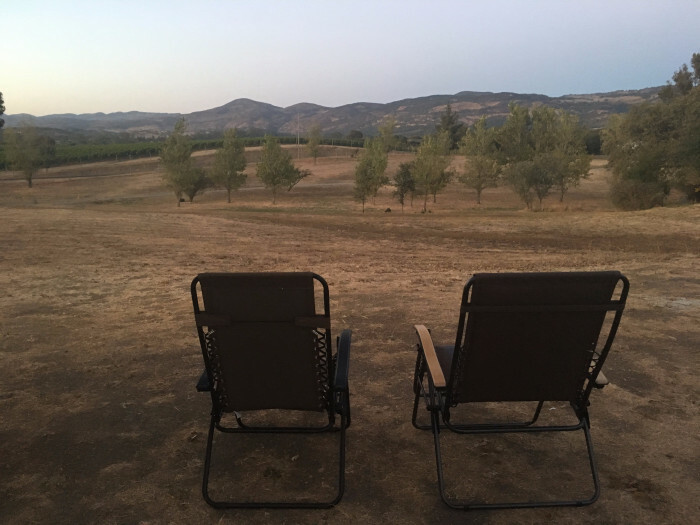 Perfect spot to visit all that Napa has to offer. Small park surrounded by Napa hills, few blocks from downtown. Full hookups. We had a back in that backed to another trailer. Try to avoid if possible. Gravel spot with green space nearby. We travel almost full time and surprised by negative reviews. Was much better than reflected by negative on this site. Verizon 3G worked well. WiFi passable. Would definitely return. 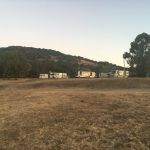 We camped at Skyline Wilderness Park in a Travel Trailer. Basically, this is a dusty, gravel parking lot with a few trees and hookups. Sites are right on top of one another, and very narrow and short. They have some logs between sites for separation. Also, the hookups are paired together so that every other site faces the other direction. 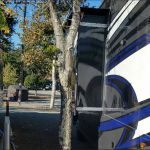 For back-in sites, you either have to run your hose and electric cord underneath your vehicle or head into your site if the post is on the wrong side. It is not a place I would want to eat outdoors or even sit outdoors because of the gravel and dust, and walking is difficult because of sharp, dry grass and stickers. Today, one 5th wheel is hanging out making it hard to drive past it, even in a pickup truck. Luckily, I have my own WiFi because campground service is very weak and not really usable. 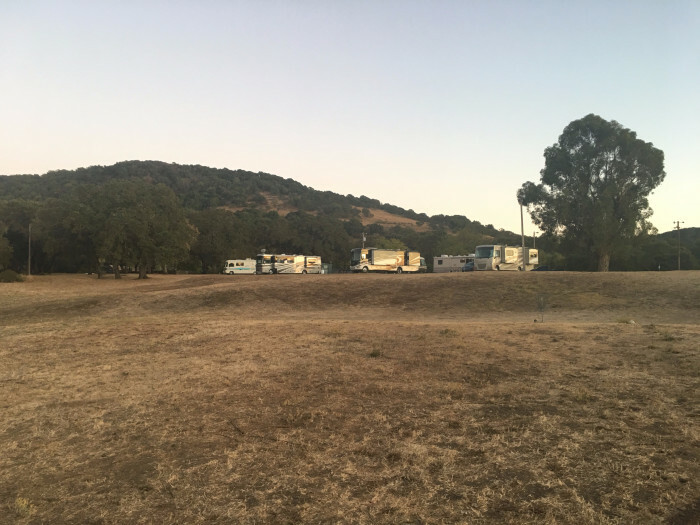 There are really only two places to camp in Napa, and the other is at the fairgrounds and closed to others for most of the month of August, so I ended up here. Will plan my visit better next year to stay there. We camped at Skyline Wilderness Park in a Motorhome. The RV personal told us there WiFi was working great. Turns out it only works in the parking lot, not in our RV. The staff did not understand how to contact their ISP to resolve the issues. We were told to go to Starbucks for internet service. This place is brown and dusty. Looks like it might catch on fire any minute. The sites are on top of each other and there are zero trees in the RV area. I will never return here and I suggest everyone find another place to stay. We camped at Skyline Wilderness Park in a Motorhome. We made reservations ahead of time and was told we were confirmed for 2 full hookup spots (traveling with another couple) but no guarantee we would be near or close to each other. So we booked or so we thought. 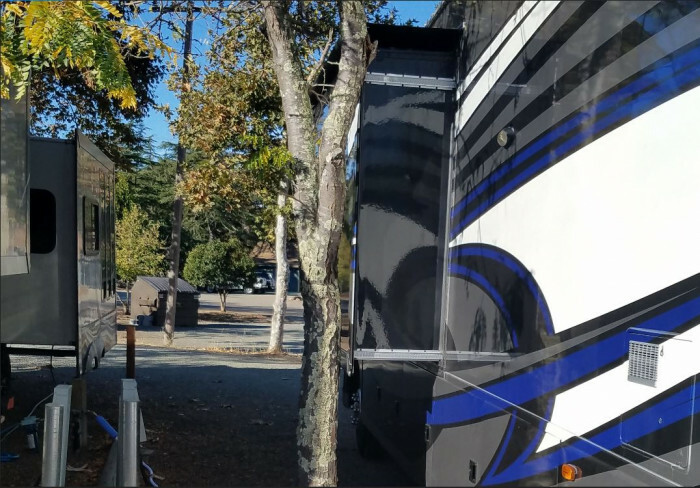 When we arrived, they said they had 2 full hookups, but weren't sure if we would fit (1 - 42ft 5th wheel; 1 - 38ft motorhome). So the motorhome tried but wouldn't fit, the 5th wheel we squeezed in. They put the motorhome on a no sewer site ... then later we noticed another full hookup site was available so called the office and they had just given it to someone who just drove up! We asked why they didn't let us move, and they didn't really have an answer. Let's just say the office has no clue what they're doing!!! Then about 4pm the 5th wheel starting experiencing power issues - shutting off with just 1 ac running. We noticed the power wasn't that good when we set up, but it was ok until 4pm. So they sent a guy down and he admitted that they have daily brown outs. He said too bad ... just how it is. So rather than risk damaging our 2015 DRV Mobile Suites we decided to only stay one night (fingers crossed the power & ac would stay on!). 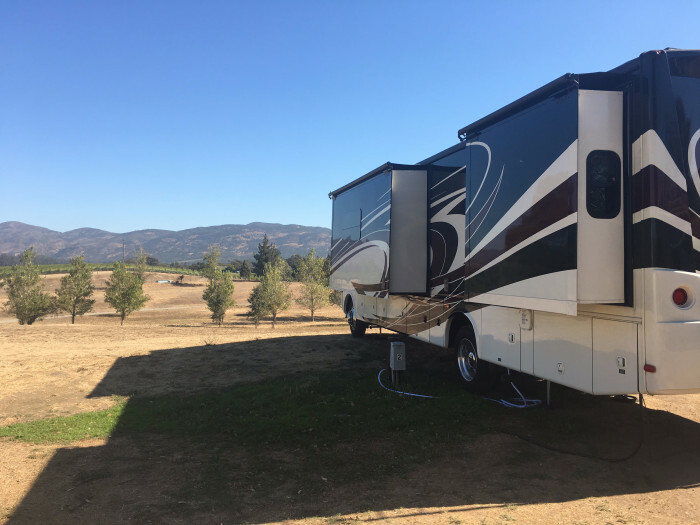 We packed up the next morning, they refunded the rest of our nights, and we moved to another RV Park. Moral to this story ... 1) they have bad electric in certain areas of the park 2) they take reservations but can't promise to provide what you need 3) this is a State Park, so it is what it is. On the plus side 1) the water is great 2) there's a place for horses if you have them. We camped at Skyline Wilderness Park in a Fifth Wheel. A good park. I was there for the max allowable time (14 days). Sites were well appointed (no fire pits, but Calif is still getting through the drought and potential fire damage). To be totally honest, I didn't do much of anything at the facility but the staff was great (even brought my expected package to my camper). We camped at Skyline Wilderness Park in a Fifth Wheel. Not too far from town (road to campground needs paving) but in and out of town was very easy. Downtown area very pleasant and had relaxed feel. Nice river walk - about 40 min from Ferry to Frisco. It a park which is all gravel. Out of downtown by Uber $10. Has great walking trails and we walk 2.5 miles to Lake Marie. First in get the full hook ups. We camped at Skyline Wilderness Park in a Motorhome. Wineries of course but don't slight those in the Sonoma area. Less expensive there in all categories. If you want some $8.00 per pound asparagus or $40.00 per pound sea scallops a visit to the Oxbow Market in Napa is a must. In case you are not so inclined, WalMart and other stores are available. Next door is a location Diners, Driveins and Dives Guy Fieri visited. Expensive now of course. Napa is a great place to visit. Hotel prices are outrageous. Book your campsite way in advance wherever you stay nearby. Most sites are first come first serve, so make reservations well in advance to hold the spot and arrive midweek and/ or early in the day to get a full service spot. Most of the sites are water/electric but they have a convenient dump if you are there for a longer (14 day max) stay. Napa town offers restaurant and lots of wine oriented businesses representingthe local wine producing agriculture. Bike from campground to bike trails along Napa River. Go to Ca Momi at Oxbow for memorable pizza. 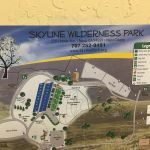 Are you affiliated with Skyline Wilderness Park ?